The Anaheim Elementary School District provides an instructional program that reflects high expectations for all students and that focuses on mastery of the standards. 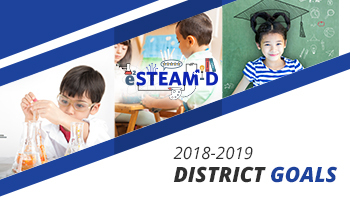 Rigorous and challenging, this District’s curriculum ensures that students become literate, self-directed and interactive learners, proficient technology users, effective communicators, adaptable problem solvers, critical thinkers, cooperative workers, and productive, involved citizens. Instructional practices are well planned, include interactive activities appropriate to students’ developmental levels, and support the achievement of every student. Assessment is a natural part of the instructional process and facilitates improvement of teaching and learning.